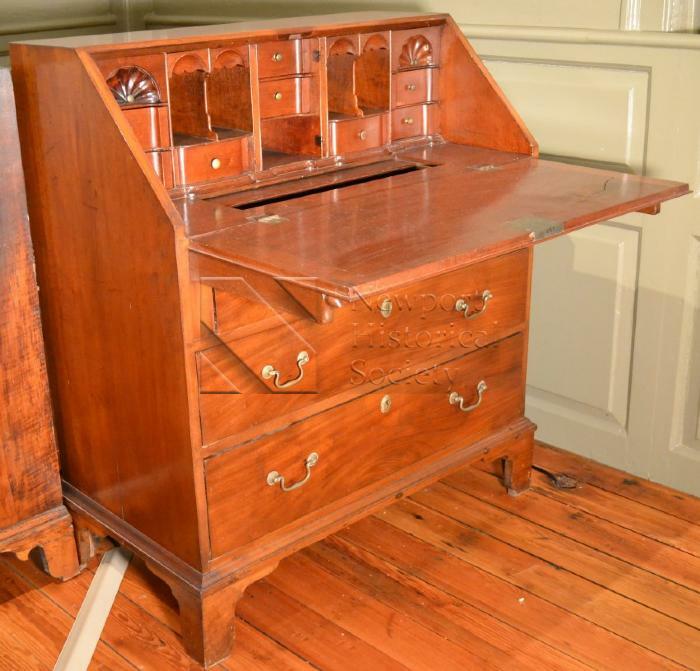 Mahogany and tulip slant-front desk with three drawers, straight bracket feet, blocked interior drawers, sliding well, sliding lid supports with carved bird's head terminals, and a brass label on back which reads: "made by Thomas Goddard/1765-1858/gift of Dr. Roderick Terry". Newport was well known for the exporting and local consumption of these pieces with and without shells. A tax receipt found in the desk suggests that it was used by Thomas Goddard, as has been suggested in several accounts (see 01.269.1).